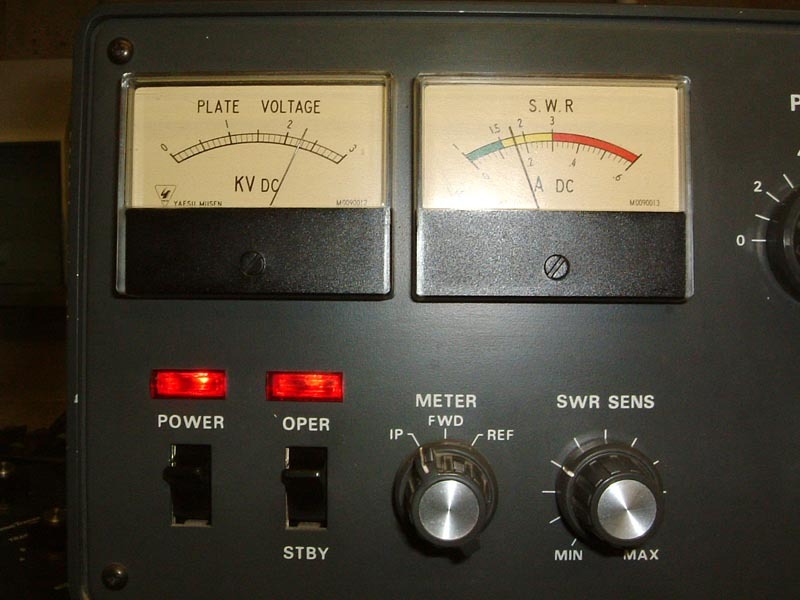 The Yaesu FL-2100Z is a compact desktop linear amplifier for amateur HF bands (including WARC bands) and will easily deliver the UK legal power limit of 400W on SSB and CW. 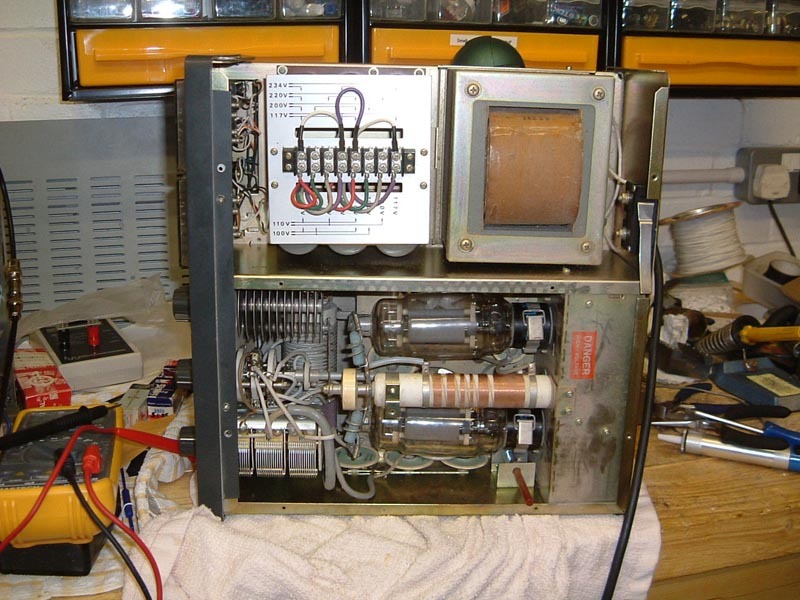 It uses a pair of 572B/T160L output valves in a grounded grid configuration, a succesful formula used in other amplifiers such as the Heathkit SB-200 and in quad form on the current production Ameritron range. This unit was bought untested and had not been used for some years, the seller advising me to have a good look over it to make sure it was OK. The output valves were drawing 40mA during standby which looked like a biasing fault, or maybe a gassy valve. 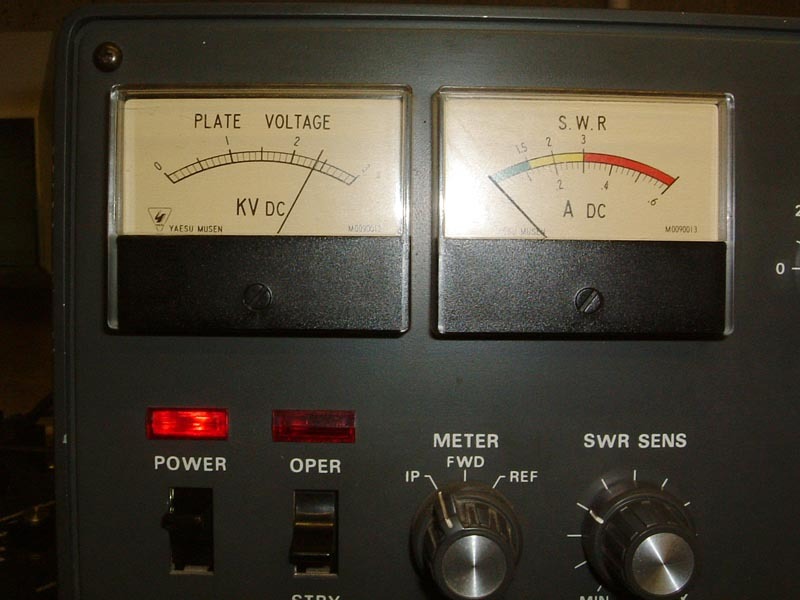 During soak testing, the unit failed about 45 minutes into the test with excessive current draw from the HT supply (plate current meter off the end of the scale). 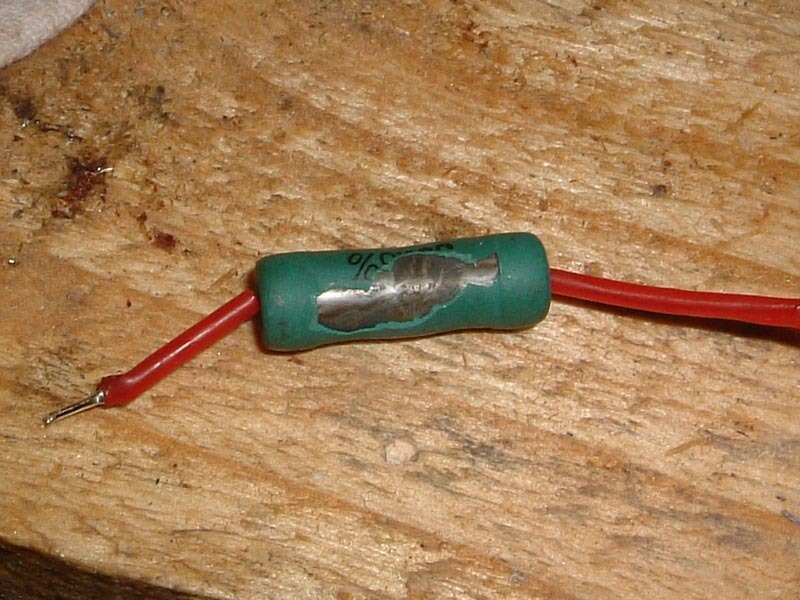 24-Oct-2004: This is the culprit, a 33 ohm / 3 watt resistor used as a grid stopper. As you can see, it had started to disintegrate and finally went open circuit causing one of the 572B output valves to "latch up" and short the HT supply. The other resistor of the pair measured 64 ohms so both were in need of replacement. This is a pic inside the top of the unit (click on the picture for a larger version). Not much to write home about except it looks tidy with no signs of flashover, cooked components, or any other horror stories. 29-Oct-2004: All fixed, there is now no current draw in standby. Testing under power is giving good results, so the unit is now "in service".